Our lodging in Yorktown, VA sprawls over nine acres of waterfront and wooded areas that provide an oasis of seclusion that is just minutes from the excitement of downtown. Our historic bayside estate is a favorite for travelers seeking a beautiful and romantic escape. In the 1930s, the manor welcomed many dignitaries and celebrities for its legendary duck hunting. 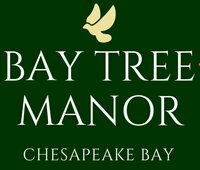 Rest easy in our spacious lodging in Yorktown, VA. Nestled along the Chesapeake Bay, you are sure to find serenity in our quiet accommodations with sweeping views. Check-in and head outside to explore our tranquil property, while we take care of your luggage. Soundly sleep with beds fit for a president. All of our rooms are outfitted with handmade Aireloom mattresses, the same as those in the Whitehouse, promising an extraordinary night’s sleep. 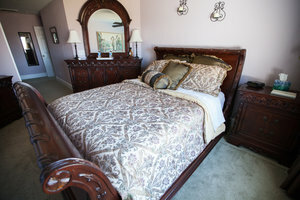 Settle in, unpack, and use our large dressers and closets make extended stays seamless and stress-free. 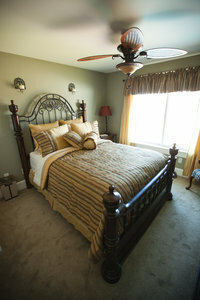 Control the temperature yourself by adjusting the thermostat or use your in-room ceiling fan for some fresh air. Allow our dedicated staff to promptly address your every need by offering you meaningful area recommendations, providing beverage service, delivering you extra blankets and pillows, and more! Explore all of our property's exceptional amenities. ﻿Make us your home away from home today. 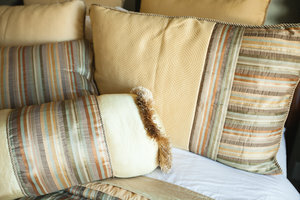 At Bay Tree Manor, we have a flair for details and an appreciation for the finer touches. Prior to your arrival, our guest rooms are thoughtfully prepared with finishing touches designed to truly welcome you. 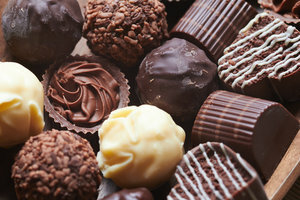 Find yourself greeted upon check-in by chocolates and complimentary bottles of water awaiting you in your room. 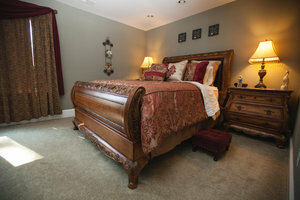 Appreciate award-winning Virginian hospitality at our bed and breakfast today.